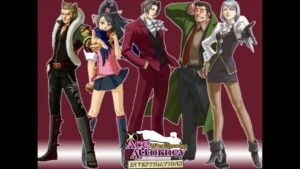 Capcom Just Has Released “Ace Attorney Investigations” In Google Play Store. It Is A Single Player Investigation Type Game In Which You Control The Prosecutor Miles Edgeworth. Investigate Crime Scenes In Search Of Evidence And Confort Other Characters To Find Contradictions In Their Statements, To Get Closer To The Truth. Using The Logic Function, You Can Connect Two Such Thoughts To Gain New Information. For instance, by connecting two bullet holes with a gun that has only been fired once, Edgeworth will conclude that two guns must have been at the crime scene. ⇒Little Thief can be used to create hologram reproductions of the crime scene by investigating these reproductions, the player can discover new information that would otherwise be hidden. In Ace Attorney Investigations, The Story Is Split Into Five Episodes, Each Episode Focus On A Different Crime. Final Words – Ace Attorney Investigations Is A Good Game But I’ve Not Yet Tested On My Device[Wait For My Opinion]. If You Love Investigation Games Then You Should Play It Or Have You Tried Stranger Things Yet? If Not Then You Should. Download – Here. Size – Above 250 MB. Price – Paid[Varies-$13 Approx.]. Previous Post:Drag’n’Jump, Overview – It’s Time To Fly With A Car?